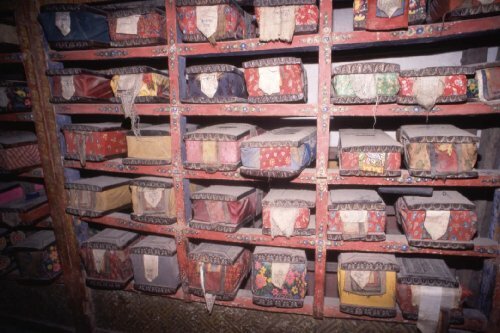 Lo Manthang. Royal Library. 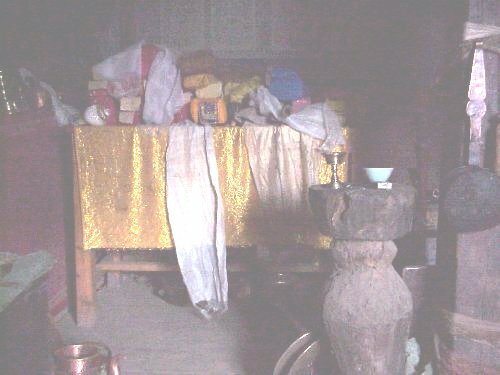 Altar. Zarkot. Bon Mon. Codexes on table. 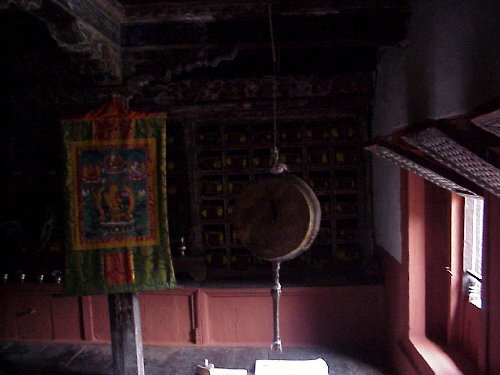 Dzong. Mon. Library. 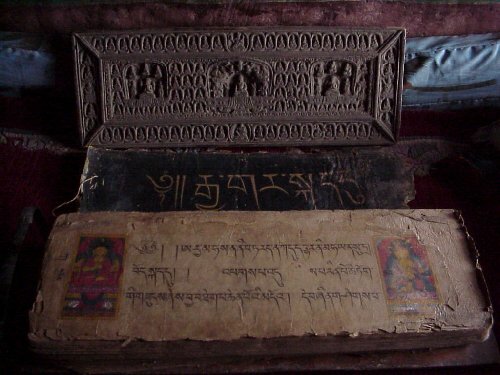 Lama with codex. 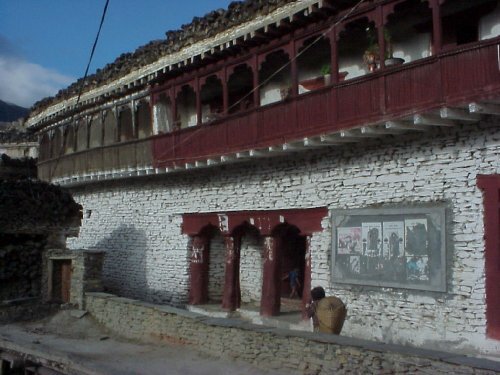 Dzong. Mon. Library. 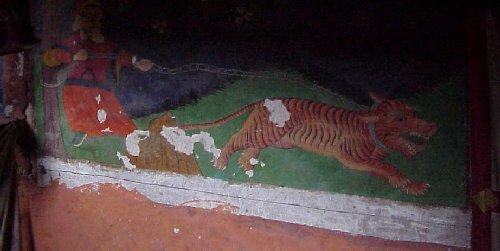 Mural with tiger. 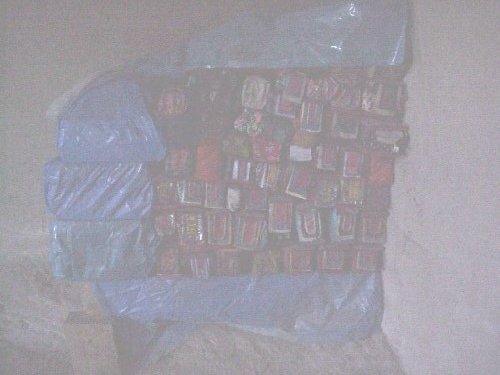 Lubra. New Mon. 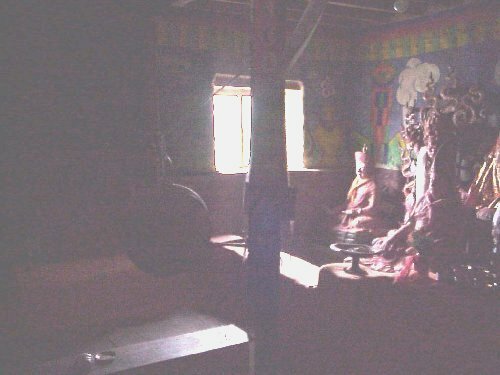 Head lama chanting. 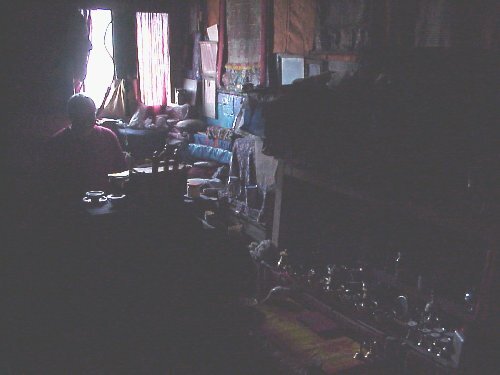 Lubra. New Mon. 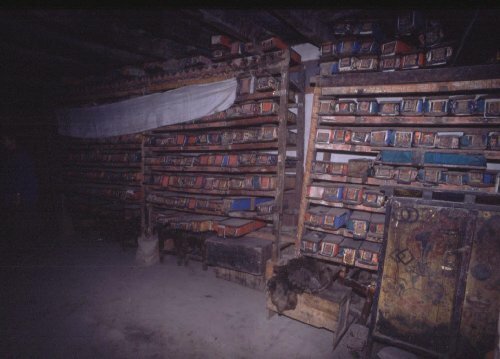 Bon books. 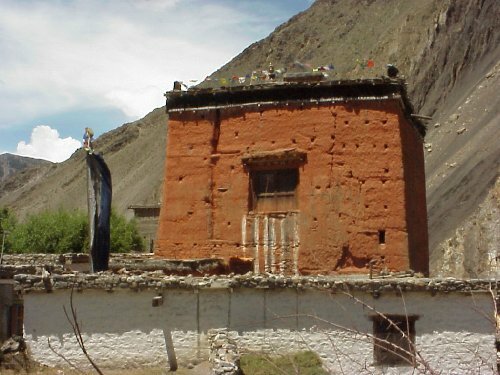 Marpha Gompa. 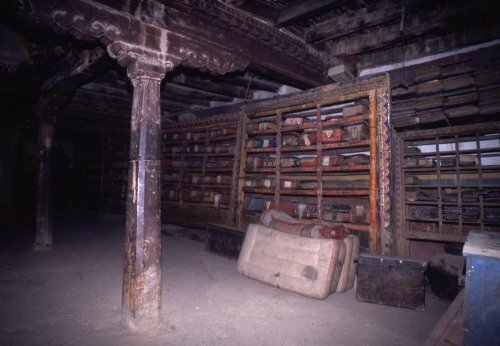 Codexes between columns. 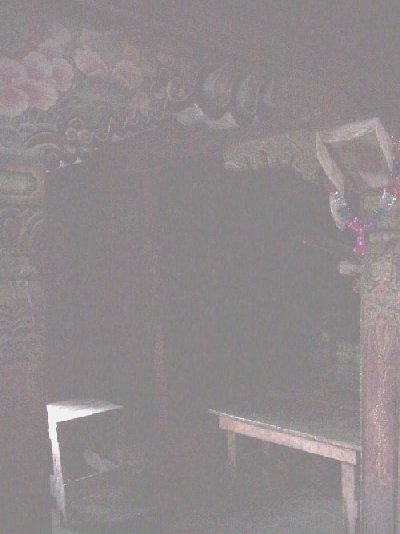 Syang. 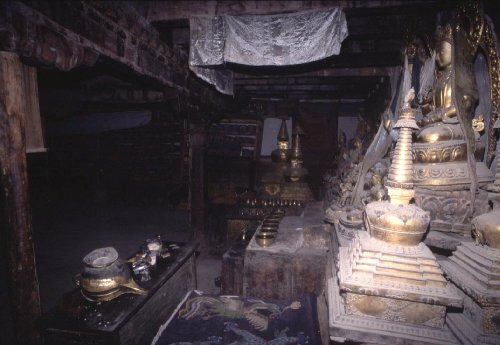 Old Gompa. New library interior. Tukchey Distillery. 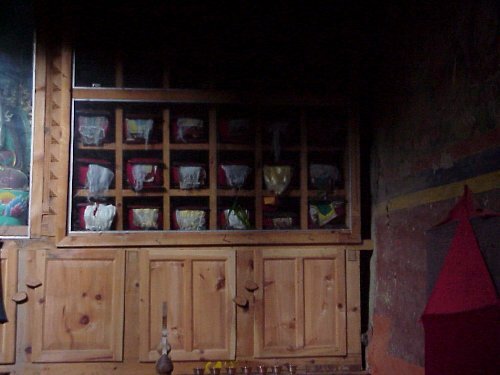 Chapel. 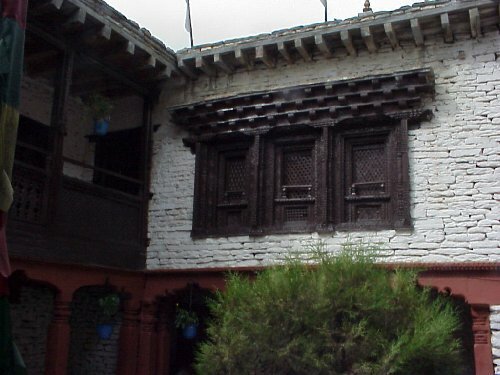 Exterior. Ekai Kawaguchi's residence. 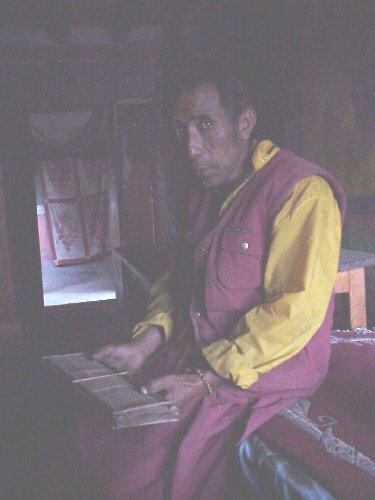 Marpha. Ekai Kawaguchi's residence March-June 1900. Exterior. 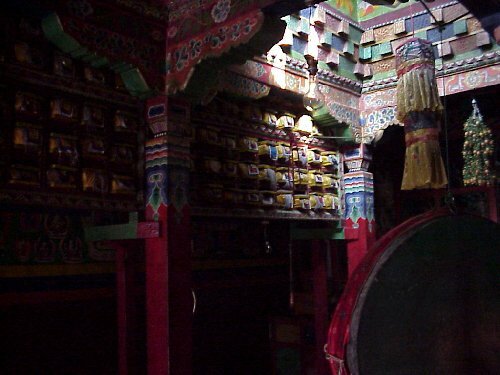 Marpha. Ekai Kawaguchi's residence. 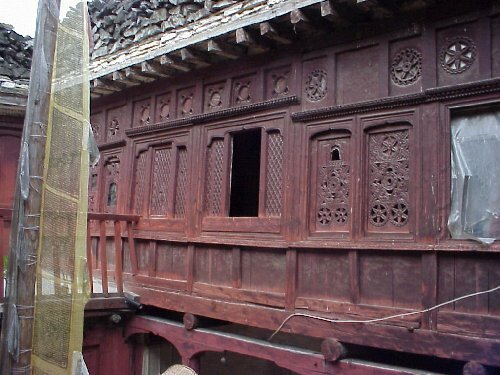 Exterior from courtyard. Jomosom. 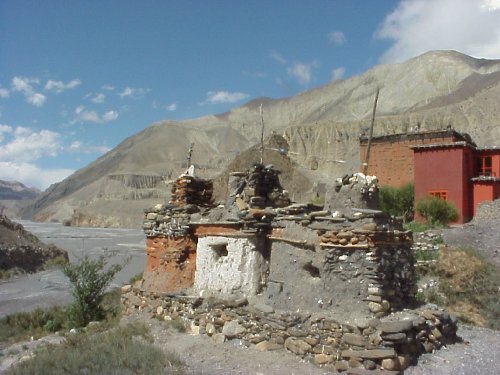 Mustang Eco-Museum. 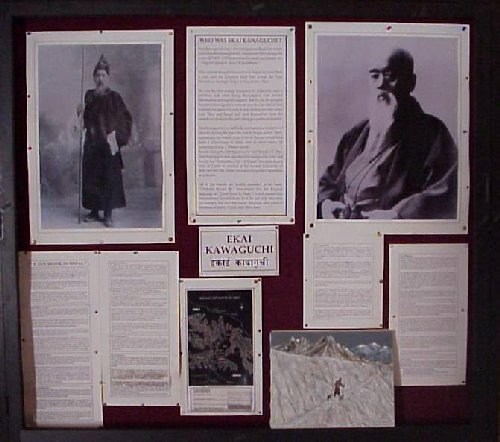 Kawaguchi display.